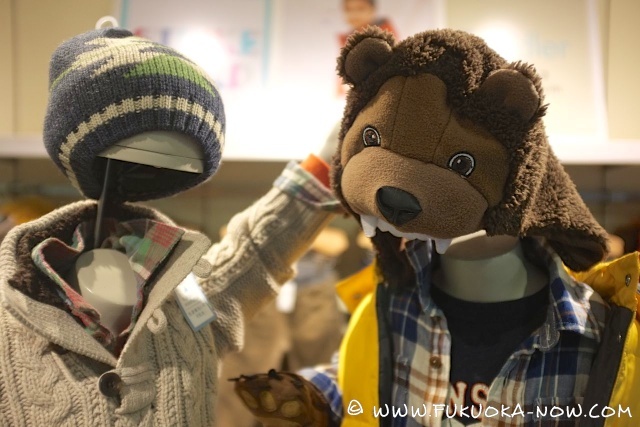 Tenjin Mitsukoshi is a leading national department store with restaurants, cafes and popular Japanese crafts and tableware section. 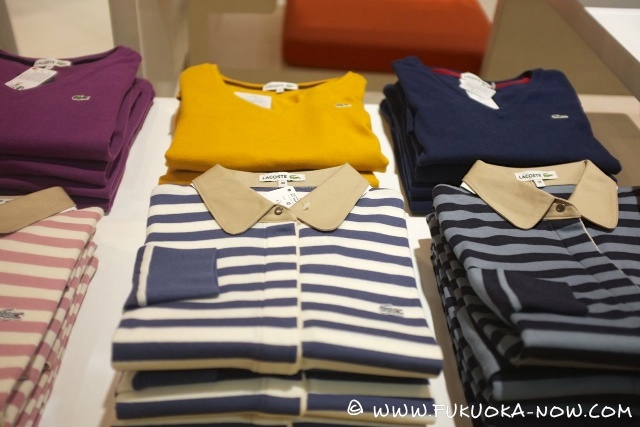 It’s the perfect place for those looking for everything from high-end goods and luxury items to casual fashions. The decor is sophisticated, with warm lights, many mirrors and sombre shades. Customers are highly respected here and the layout is superb – each of the eleven floors has an information desk and there are many seating areas. 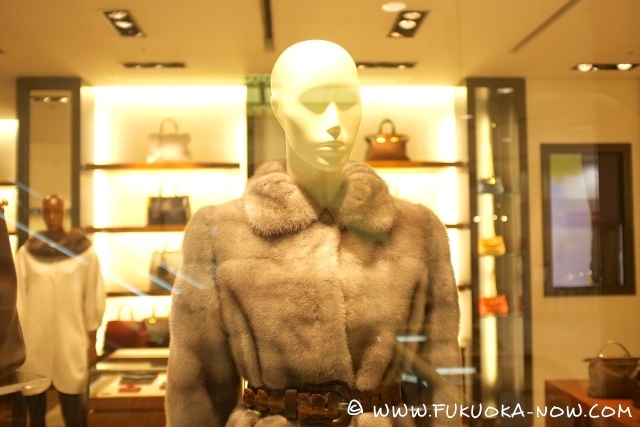 There’s also a sightseeing elevator for great views of Tenjin, as well as many high-end clothing stores and restaurants, a “depachika” food market in the basement and an art gallery. ☆ Harrods (B2F) This British staple store sells a variety of teas, jams and biscuits, as well as a selection of cute items including their trademark teddy-bear mascot. 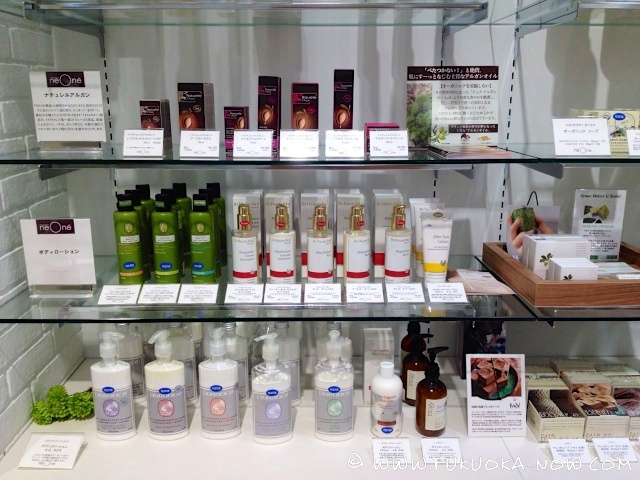 A large natural cosmetics store, with many imported brands. You’ll also find handmade soaps, candles and household knick-knacks. A great shop if you’re looking for a gift. 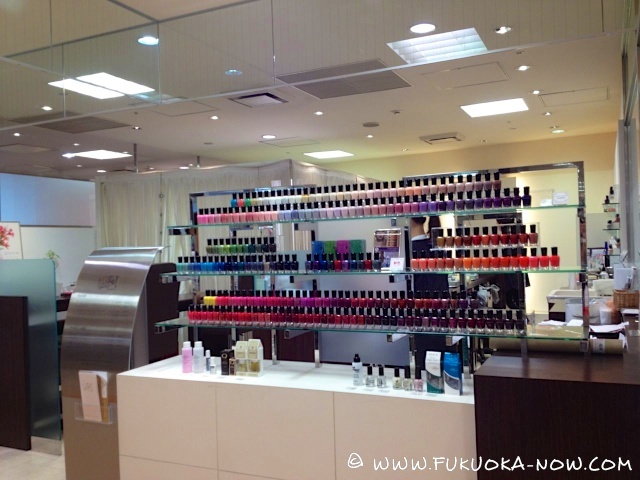 Take the first elevator to the fifth floor and you’ll find yourself in a mini beauty salon! A fresh smoothie bar with fruit juices and jelly puddings. It’s a great place to take a break and get a good dose of vitamins! 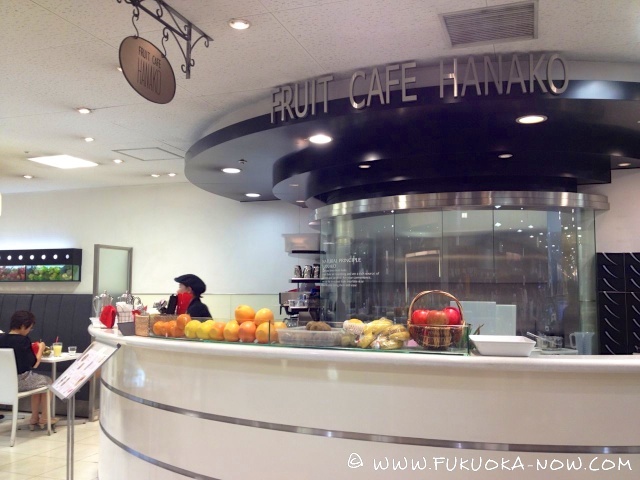 Note that they also sell a selection of seasonal good quality fruits. 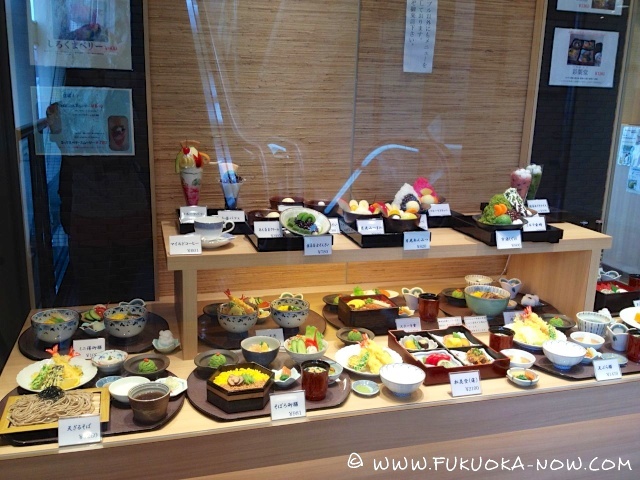 A typical Japanese restaurant where you can enjoy a sweep of famous Japanese dishes like sushi, tempura or soba noodles in an elegant environment. 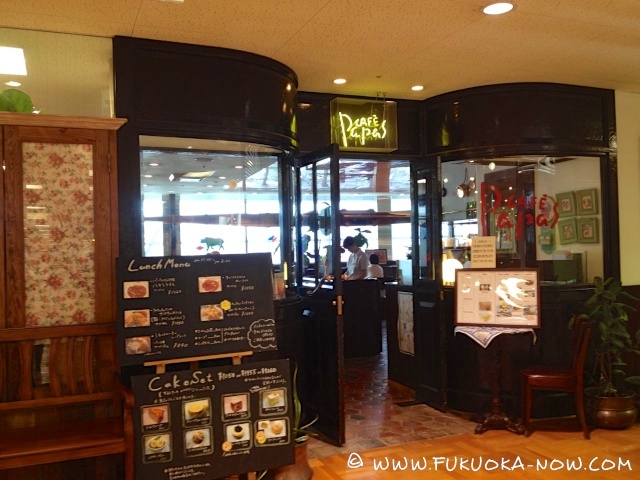 A lively western-style restaurant with many different drinks and desserts available. The romantic atmosphere makes it a perfect place for a date. 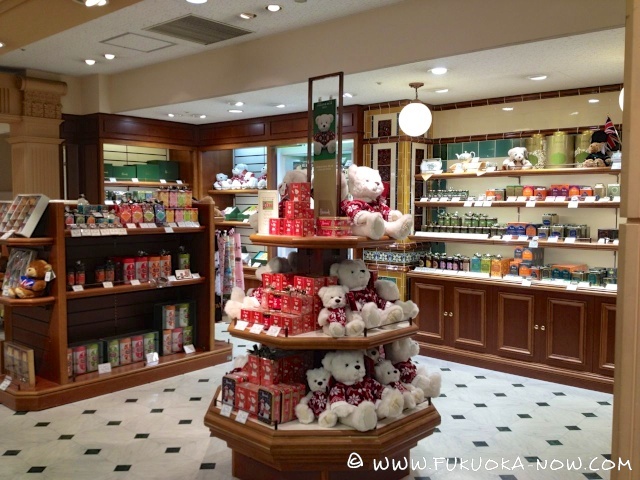 How to enjoy Mitsukoshi? 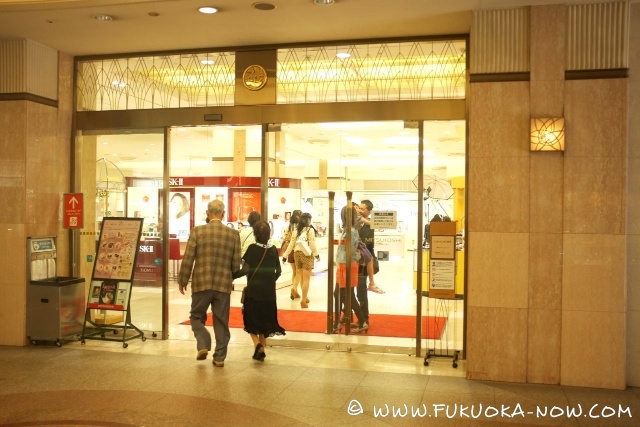 Mitsukoshi is quite a large mall and it takes around 3 or 4 hours to complete. 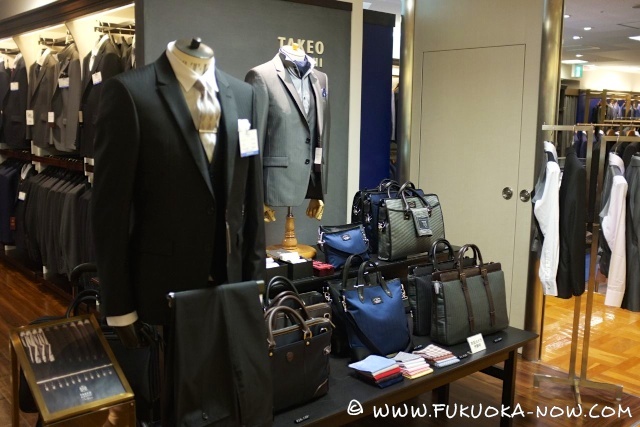 However, because of the prevalence of high-end products and prices it’s rarely crowded which makes it a refreshing change from the buzz of Tenjin. You can peacefully browse, enjoy the art gallery, and try the range of bento-boxes, sweets and snacks available in the basement. 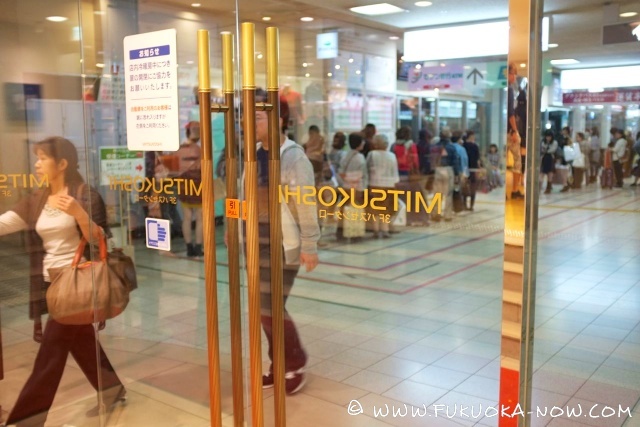 For Women: From delicious treats in the “depachika” basement food market to many luxury clothing and accessories’ stores from floors 1-5, Mitsukoshi is a great place for classy ladies. 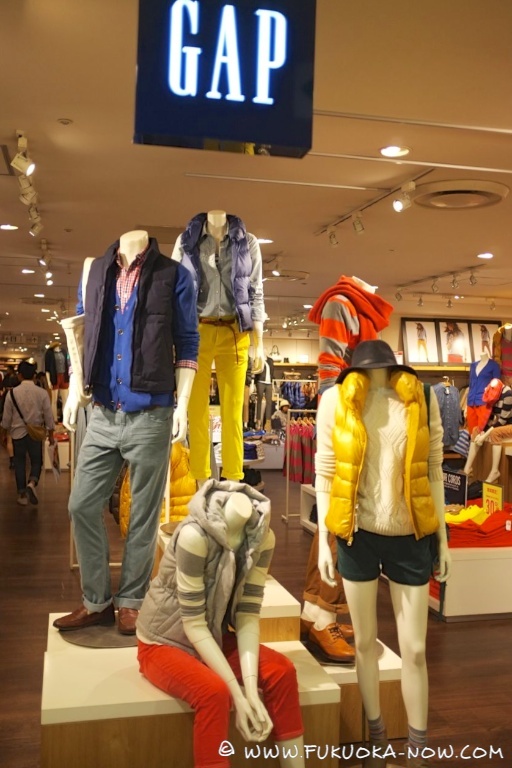 For Men: High quality men’s clothing and shoe stores can be found on the 7F. Golf players should also check out their golfing equipment shop. 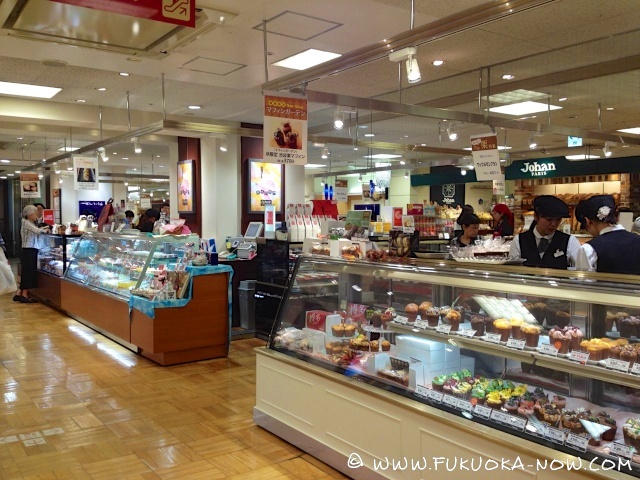 For Tourists: The basement houses various Japanese restaurants with plenty of specialities to try. 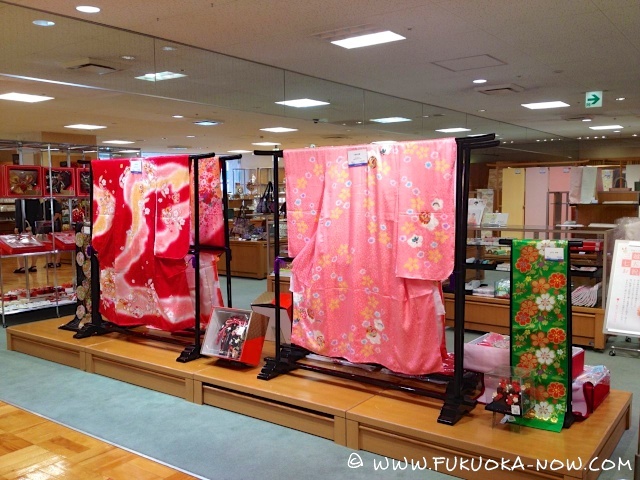 You can also buy gift boxes of traditional sweets and snacks and there are several kimono stockists on 8F. 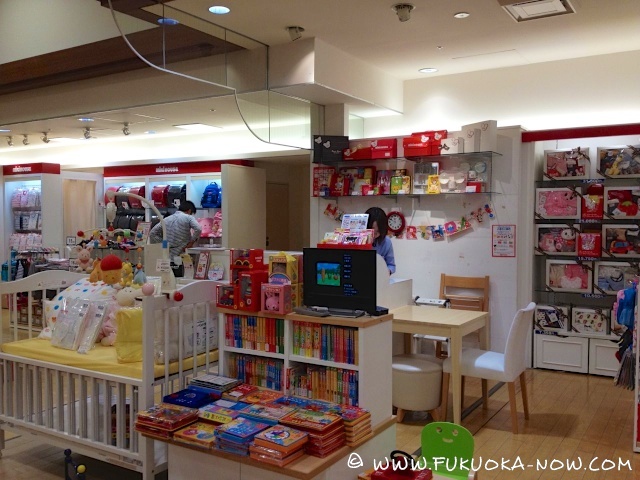 For Children: Only the 9th floor has shops for children, but also a nursery. 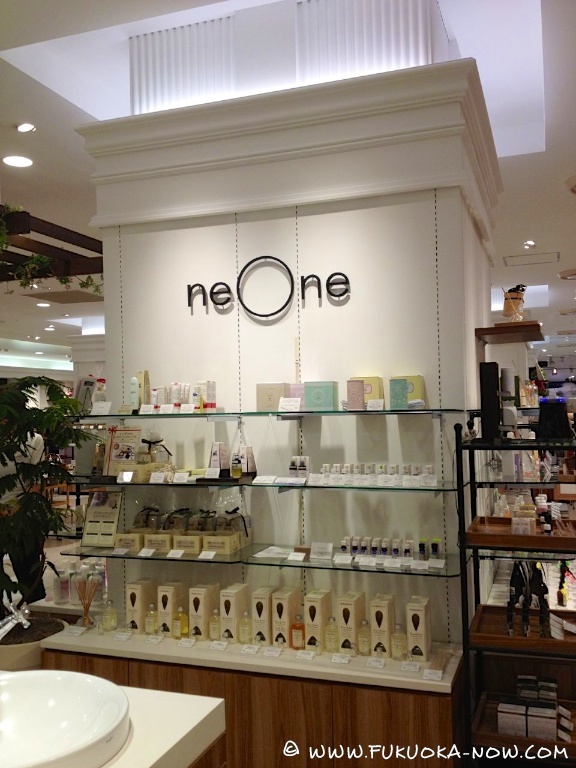 Although Mitsukoshi is not the best mall for children, tired parents with babies may find it a comfortable place due to the various seating areas. What’s nearby? 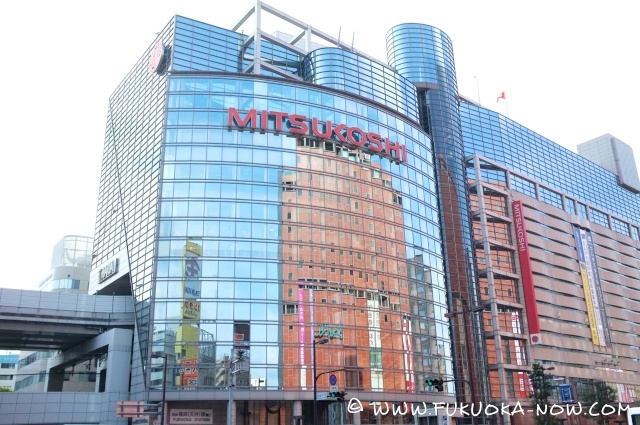 Mitsukoshi is connected to Solaria Plaza and the Tenjin Nishitetsu Bus Center. Public transportation: By subway or bus; get off at Tenjin station. 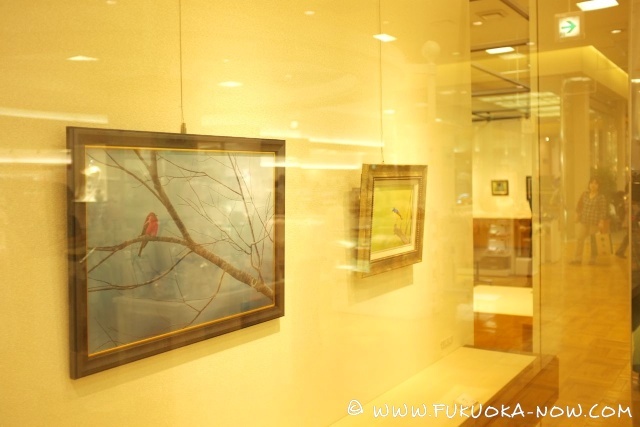 Originally written for Fukuoka Now June 2012. 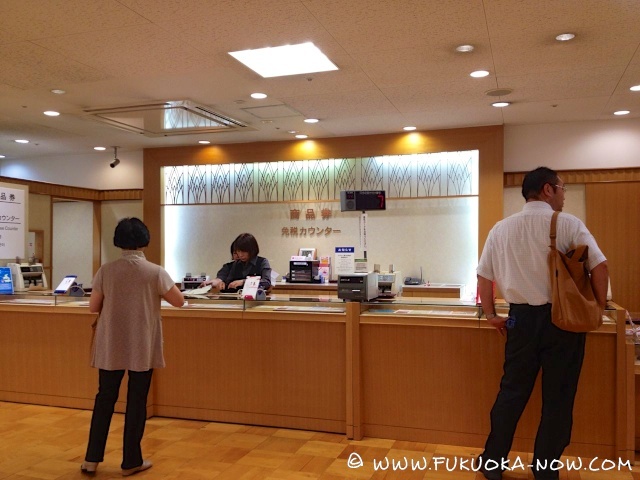 NOTE: The information presented here was gathered and summarized by Fukuoka Now staff. While we have done our best to check for accuracy there is a possible of error and facility details may change. If you notice any errors or changes please contact us. This report was originally written in June of 2012.